Have you wished you can have particular plates or taxi diagrams handy, regardless of what airport you’re viewing in the Terminal pane? Here’s how you can do it! Tap Terminal, then select the book icon in the top right of the screen. You’ll see a list of all documents connected to the currently selected airport on the right; on the left, a list of all airports in the database. To the right of each document, you’ll notice some hollow star icons. Tapping the text will take you directly to that document, however tapping the star icon will elevate it up to the Favorites section. 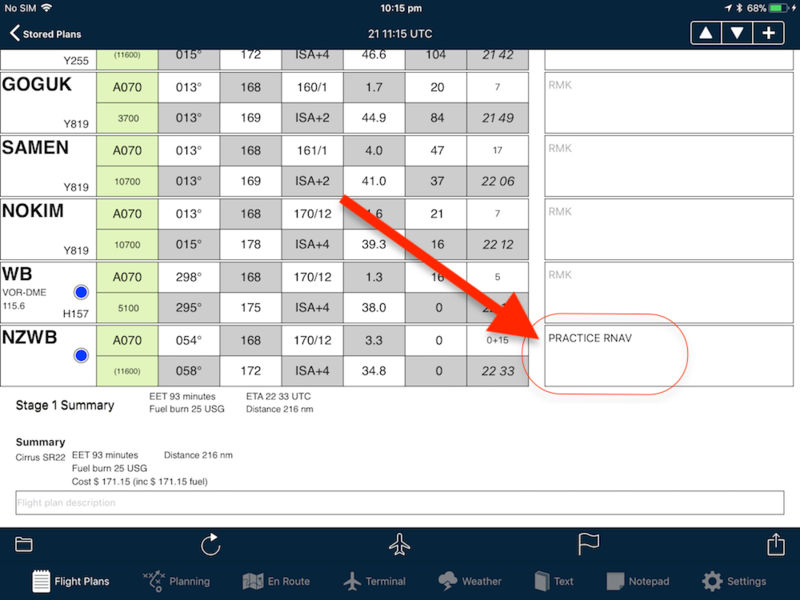 This feature can be handy for any pilot, but particularly for IFR pilots. You can set up the taxi diagram, SID, STAR then Approach and taxi diagram. All in the one spot! To remove any starred documents, simply tap the star icon once again and it will return to the regular list. https://www.avplan-efb.com/wp/../shared/content/uploads/2018/01/IMG_FF94F9EC647D-1-copy.jpeg 354 602 Evan https://www.avplan-efb.com/wp/../shared/content/uploads/2016/10/newlogo2.png Evan2018-01-12 06:00:252018-01-11 22:23:37Star your STARs! 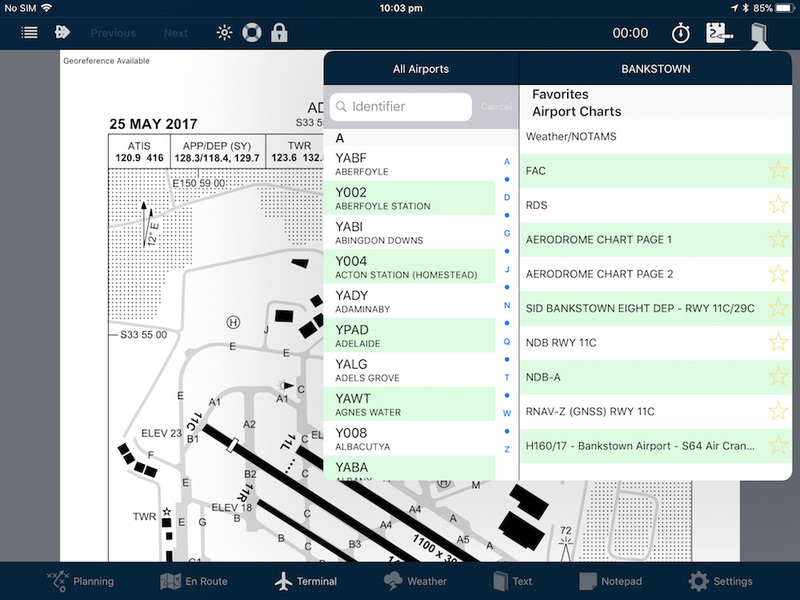 The interactive electronic flight log has always been one of the core features of AvPlan EFB. 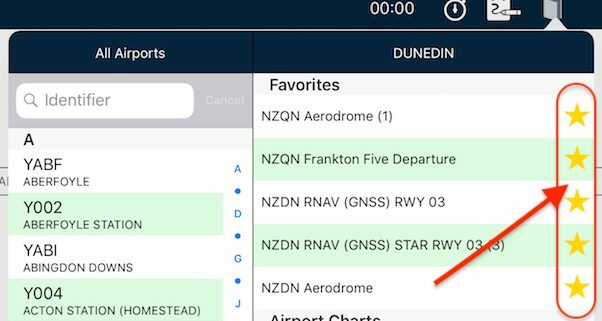 An option recently added to the growing list of personalisation settings includes the ability to select between the original flight log design (on the left in landscape mode or top/bottom in portrait mode) and a full-screen mode. 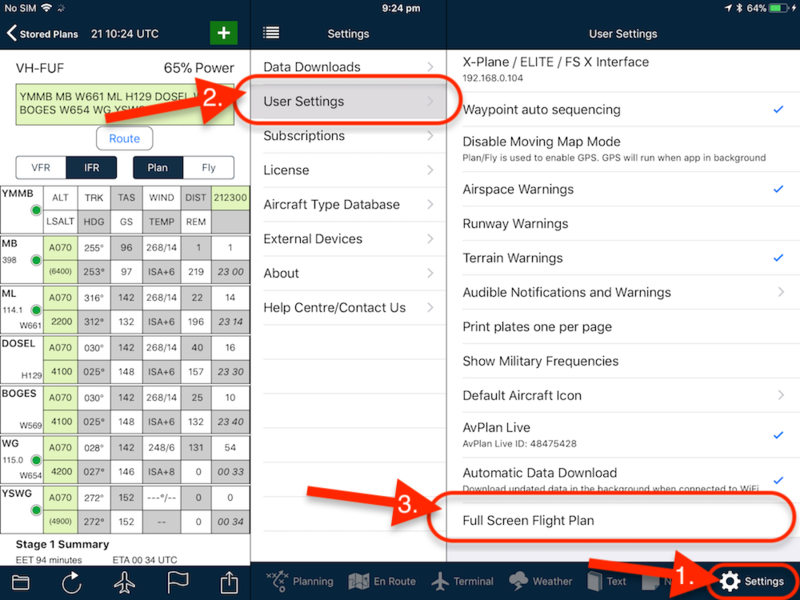 To enable this feature, tap Settings > User Settings > Full Screen Flight Plan. 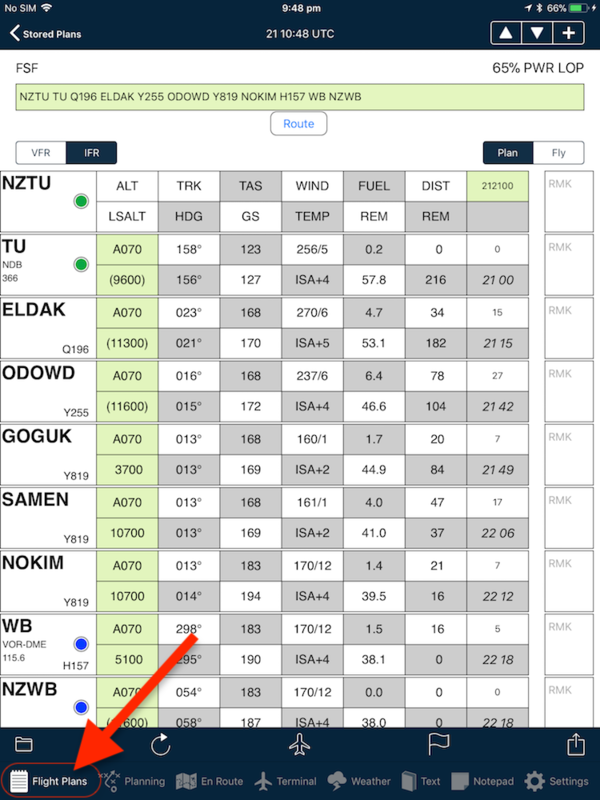 When enabled, an extra option appears in the lower section of the screen: Flight Plans. 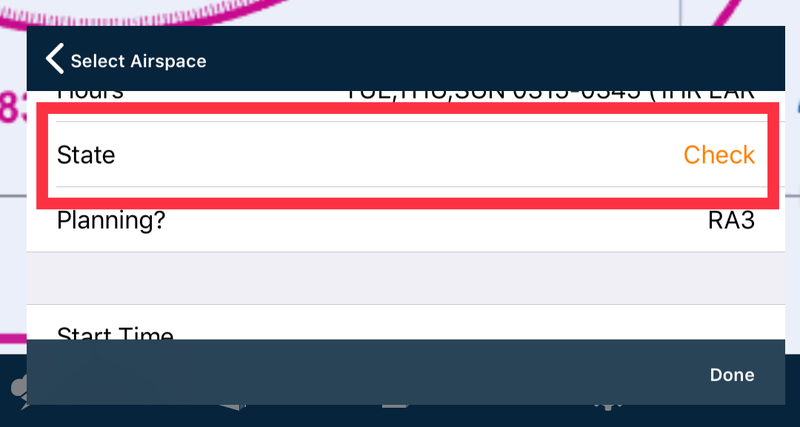 The flight log has its own tab. You can cycle through the active leg in the flight plan (i.e. the TO field) by using the up and down arrow buttons. 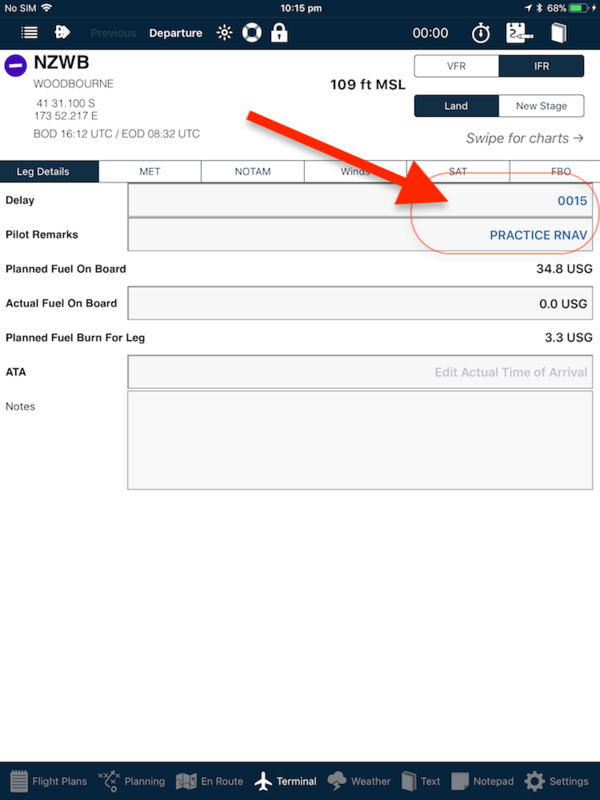 To enter these comments, tap the corresponding row in the flight log (this will take you to the Terminal Page for that place), and under the Leg Details tab, type your delay time and Pilot Remarks. Eagle-eyed pilots will also note that there’s an extra column: Fuel. The upper box gives the planned fuel burned for the leg, and the lower box displays a progressive planned fuel burned from takeoff. 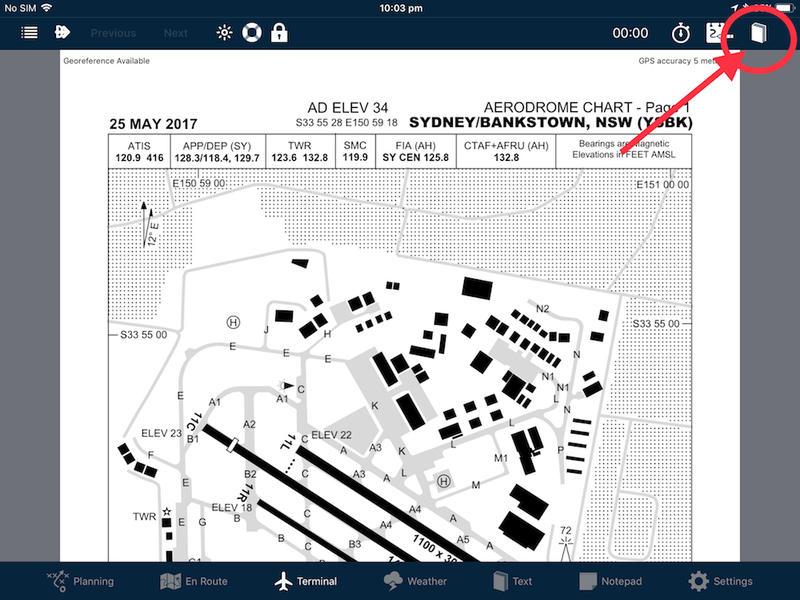 Pilots that have used AvPlan EFB on the iPhone or 12″ iPad Pro will already be used to seeing this column. 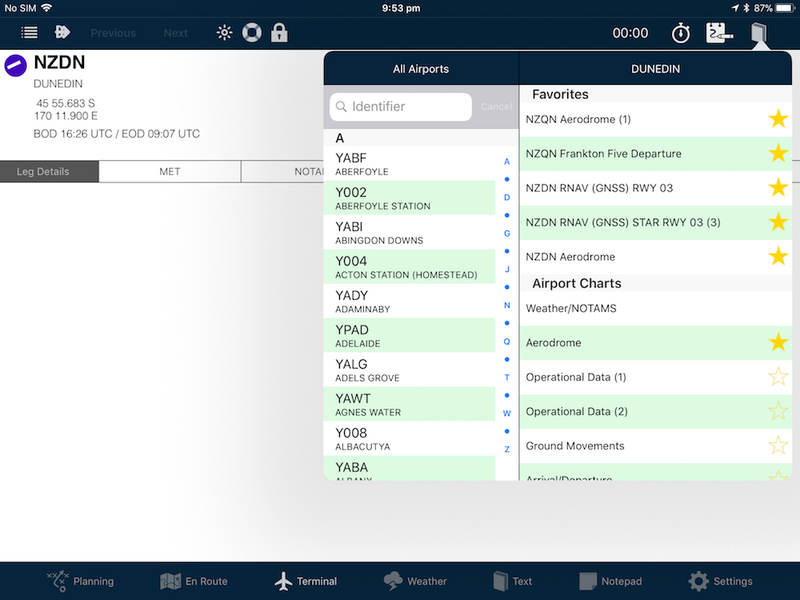 Not all pilots will like the separate tab, but many others will love the extra space a whole screen option brings. Give it a try today, if you haven’t already! As well as the usual active airspace regions (military airspace, etc) pilots are used to seeing around their region that have fairly regular and predictable times, there’s also many other types that can ‘pop up’. It’s important to know how to find out information about them, and wether they need to be avoided now or in the future. From the EnRoute page, tap the Map Settings button. 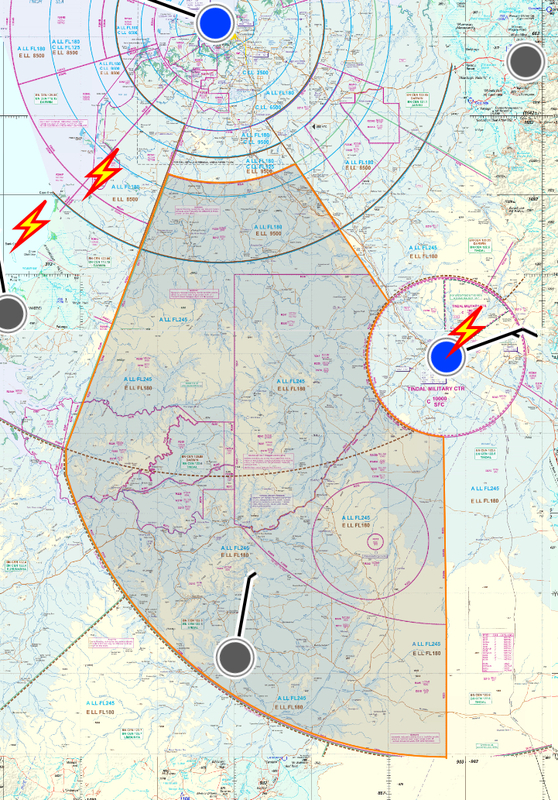 Scroll down and place a tick next to Active Airspace. Yellow regions are upcoming Temporary Flight Restriction or Danger areas. These might include Stadium or Presidential TFRs in the USA, or in Australia pilots might notice long (usually) skinny regions that are military Low Jet Routes (LJR). Above is an example of both a future LJR and one that is currently active. These can also be double-tapped to read the NOTAM details. They’re a good idea to avoid when red, as you might have a visit from a fighter jet! 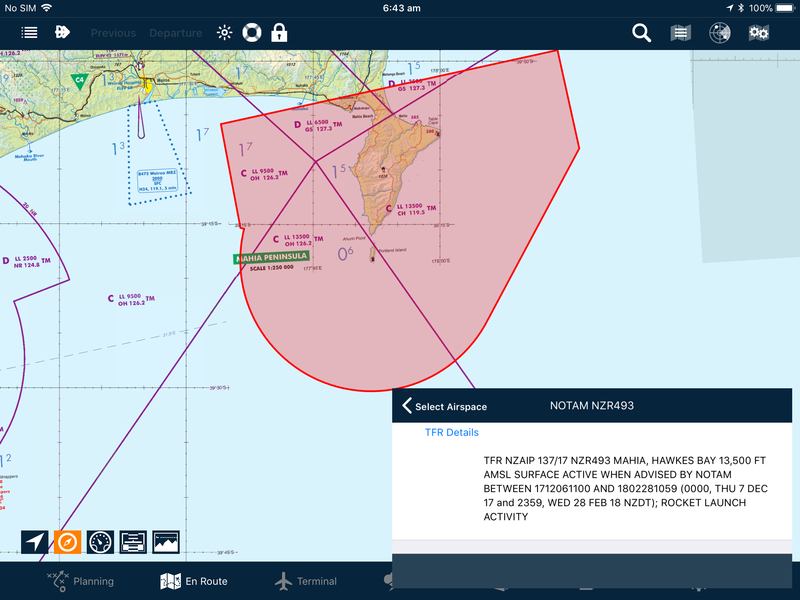 As of AvPlan 7.5.3, Australian pilots will also notice that military CTRs will now display active and deactive. If you haven’t been connected to the internet for a while, and AvPlan EFB is not currently aware of the status of airspace, it will display as grey (see below). Connect your iPad to data, and they should update within a minute or two. Once the active validity time has passed for a piece of airspace, the regions will automatically disappear from the map. 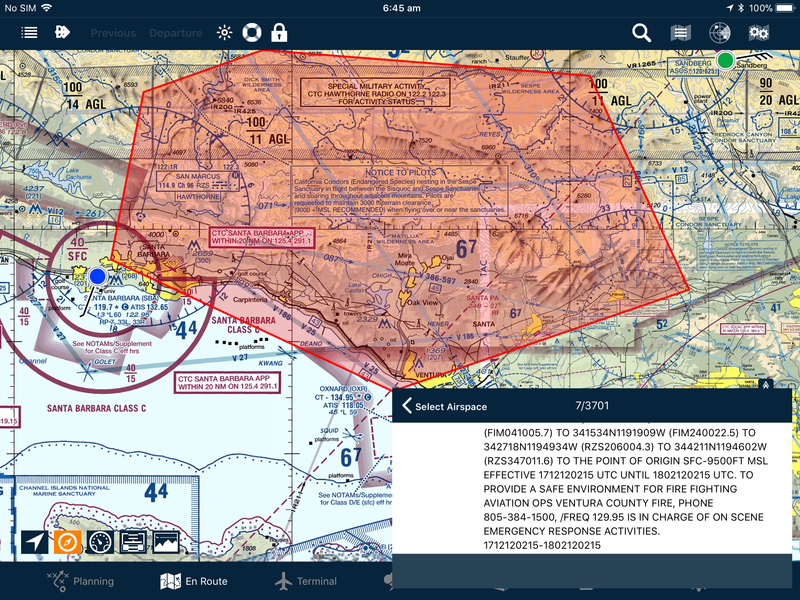 So, the team at AvPlan EFB recommend turning on Active Airspace and leaving it on. It’s handy information to know! https://www.avplan-efb.com/wp/../shared/content/uploads/2017/12/IMG_0033.png 2436 1125 Evan https://www.avplan-efb.com/wp/../shared/content/uploads/2016/10/newlogo2.png Evan2017-12-15 07:45:222017-12-15 07:45:22Is Your Airspace Active?